Your Wealth ~ Abundance~ Joy NOW! : The Crystalline Grid; Being Living Love. The Crystalline Grid; Being Living Love. LISTEN to Ginny Talk About Her Powerful Expanded Awareness Experience! Thank you so much for the wonderful call last night, You and Larry did a fabulous job and the Twelve and The Collective rocked my socks off. I have already been doing meditations connecting to the Grid with a technique, the Crystalline Grid call amplified and expanded that technique for me. I learned very valuable experiences in being in the Crystalline Grid and will be journeying there much more. Thank you so much it was grand! click gray bar above to hear Ginny share her profound experience in the Grid! This unique and special recorded session shares about the Crystalline Grid (the light grid), how it is affecting you, your life experience and the planet. The Crystalline grid is reactivating now as a part of the New Earth energy. The activation of the Crystalline Grid has stepped up in intensity and WE are an integral part of it's activation. The Crystalline grid is luminous in nature, a grid of light, and energy transmission through it is at the speed of light. The more we activate and develop our own "luminous" body, the more easily once can connect with this grid to transmit our intentional energy. By consciously aligning with and connecting to the Crystalline grid on a regular basis, we strengthen our ability to receive and transmit higher dimensional energies. Infused with Love Love Love! I am still in a meditative state after the Crystalline Grid call last night. It was a real blessing to hear that some major force is now activated, the Crystalline Grid itself, and this emboldens Love and Loving thoughts and facilitates loving states in more effortless ways. The call infused all of us there with nothing but Love Love Love! Love is the only reality in the Universe. 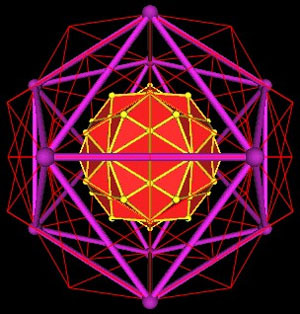 The activated Crystalline Grid is an energy that no one can ignore. It is a massive life force, and the only choice is to go with the energy. The Crystalline Grid call completely verified the work I am doing in my own life. The prayers I write -- or do I really write them?-- everyday since 11/1/2009-- uses turns of phrases or statements I heard last night on the call. And I felt as though the call and the beautiful grid was giving me permission to keep on the path that I am on. The meditation was so powerful that even now, I am completely relaxed. I highly recommend it!! Taken Into A Higher Level of Spiritual Evolution! 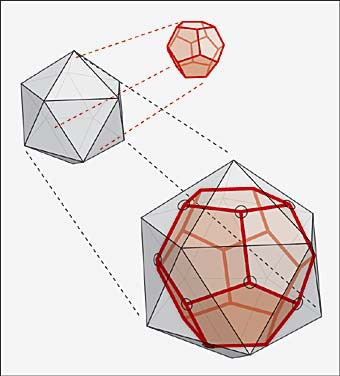 As I was guided into the crystalline grid, I noticed that I became self-unconscious and merged with the energies of a huge structure that look like a geometric-type hologram, and in which there was an endless connection of Star-Beings. Our light lightened up simultaneously and in synchrony, coming from the very Love of the Source as I felt! At that time we were all One and Equal and nothing else existed! I felt that we all belong to the Huge network of Light that was working as a single unit in the most powerful momentum of the Universal Mind, Heart and Light! My energy was raised! and I felt as if I had been taken into a higher level of Spiritual Evolution. It is a wondrous and expansive experience and feels SO good! Joy, Gratitude and Appreciation are the paths to the higher frequencies and a powerful connection with the grid. Joy and ecstasy (absolute joy) of the correct frequency connects you with and activates the grid. There is a lot of absolute Joy and Gratitude experienced! The sense of Oneness and Absolute Love does not leave! Consciousness Expanded - Buzzing with Excitement, Joy and Love! I am still buzzing with excitement and joy after experiencing the Crystalline Grid. It was great to hear the Collective and Twelve explain what the Crystalline Grid is and why it is available for humankind to experience now. However this was nothing compared to the joy and love you feel when connected to the grid. As my vibration increased during the process guided by the Collective, I felt much more expansive than my physical body. My consiousness was expanded even further as I connected to the points of the grid. At the same time as my awareness expanded I was filled with joy and a lightness- Incredible!! The Crystalline Grid is something that needs to be experienced and I look forward to connecting to it on almost a daily basis to create more joy and love in my life. Thank you. I took the opportunity to re-listen to the Crystalline journey again today so my experience is fresh in my mind and heart. I am an artist so much of my experience involved marveling at the visual experience of the golden light streams, like gossamer threads and the layering of the threads creating a glowing iridescent warm tapestry in all directions at once. I marveled at the vision and was curious as to whether it could be depicted. The feelings of loving connection isn't easily disconnected, in fact there is no feeling of disconnect once the connection is made, just a slight shift in focus to reanimate the body/life form while remaining connected through the heart. I, too, was very hesitant to "withdraw" the light connections when it was suggested that we do so and returned to my "normal" self quite reluctantly, but also not quite fully. The sense of oneness does not turn off. Thank you for this opportunity to expand and I will listen to the full recording again in a day or so. I am sure that I will listen to the journey many times over and enjoy the expansion more each time. I enjoyed the session so much last night. I have already been doing meditations connecting to the Grid with a technique, the Crystalline Grid amplified and expanded that technique for me. As I stumbled around trying to form my question about negative energy, etc., I knew what the answer was but evidently needed to hear it with my ears. Another participant's visualization of all our energies being like notes on a music scale playing a beautiful symphony reminded me that we are all on our own karmic path at our own vibrational frequency. I usually tell my students that we wrote our life movie before we were born into this life and all the players agreed to take a part, some negative, some positive for us all to learn. I was needing to be reminded to take that premise and use it in a bigger context in that the population of our planet is running it's own movie that we have all agreed to be in. Us being notes in a symphony is another beautiful way to see this concept. I am so grateful for all that I learned last night. I thank you, Larry, the Collective and the 12 for sharing with us these beautiful lessons. The centerpiece of the session, led by The Collective, is a powerful, altered state Crystalline Grid process that takes listeners out of 3rd dimensional consciousness to higher dimensions to become one with the Crystalline Grid of Light. You will feel the Crystalline Grid pulsing through you as you feel and live your connection with all beings. You are creating new cellular memory in this process, you are expanding. You know intuitively and communicate telepathically. Your awareness is vast and you truly experience no self and no other. You will BE living Love one with the Crystalline Light Grid. To receive maximum benefit, set aside some undisturbed time, get comfortable, just sit or lie back and relax to be taken on a journey into the Crystalline Grid. ~ 25 minutes. Illuminating Question and Answer session after the powerful process of connecting with the Crystalline Grid. Listen and expand while The Collective and The Twelve answer the questions. This is an important time in humanity's development. The reactivation of the Crystalline grid is central to the shifting of humanity's and Earth's consciousness into the higher 4th and 5th and even higher dimensions. The Crystalline grid connects you to all other parts of yourself (those which you call others) as well as to the Earth and the entire solar system, galaxy and cosmos. You are not separate from any of it. All of it is facets of you. 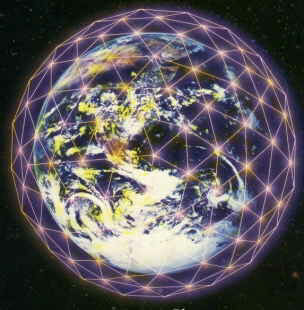 With the Crystalline grid in place and activated, humankind is co-creating heaven on Earth once again. You are very much a part of the activation of the Crystalline grid. This grid is activated by consciousness, human consciousness. It is a grid of Light consciousness. Once activated, you will experience that you are connected and one with all life energy on your planet and life energy beyond your planet. You will experience a remembering of your powers of telepathy, clairvoyance, clairaudio, clairsentience and claircognizance. You will find yourself able to travel at the speed of thought in your light filled energy body around your planet and beyond your planet just by intending it to be so. You are now standing on the threshold a new way of being, you are becoming Living Love. You are becoming fully conscious of being Source expressed into form with the full knowledge of your Divinity while creating in the world of form. It is a very exciting time for Earth and her inhabitants. In terms of energetic grids, we would like to speak about the emergence of consciousness as the source of all of the energetic restructuring that is happening in your world. We would also like to speak about the interweaving of your conscious mind states with each other. Your consciousnesses (plural) have always been interwoven in the nonphysical state. You experience this in dream-time and in the so-called "collective unconscious" but a big part of your new global awakening is going to be more and more like telepathy than ever before - in other words, that which has been an unconscious connection between you all will become increasingly conscious. We would like to let people know that the light grid has always been present, that this emergence was a part of your intention in coming here. It is the shift in your collective consciousness that is energizing that grid; like an electric circuit in your house that you never switched on before so you never knew you had it.